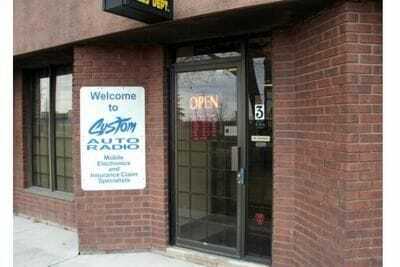 Custom Auto Radio founded in 1974 as a mobile sales, installation and service provider of automotive sound systems and accessories to new and used car dealerships in Whitby and surrounding Durham areas in Ontario Canada. In 1976, Custone opened it's retail store to meet the growing needs of local car owners looking for first-class sales and service at 912 Brock Street in Whitby, providing a wide range of products such as auto stereos, custom sound systems, auto alarms, CB radios and convenience accessories for the 12 volt industry. Since then we have expanded from our original 500 sq. ft. facility to a modern 5,000 sq. ft. complex at 1150 Champlain Court, still in Whitby, serving the Durham area with additional products such as mobile video entertainment, remote control accessories and car navigation. Unlike most sales establishments we provide not only sales but a full service facility including installation by trained personnel and if required, warranty service by factory trained technicians right on premises.